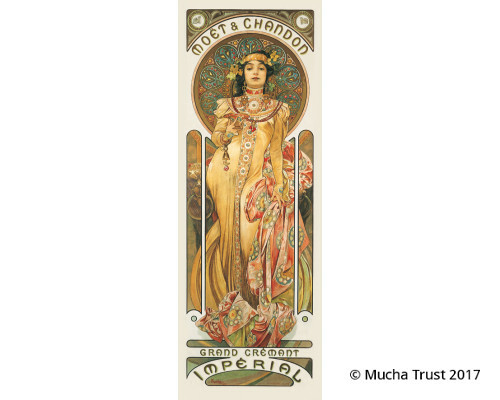 Mucha worked with Moët Chandon on a number of posters, catalogues, postcards and other promotional material. 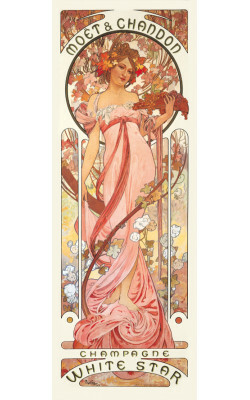 This poster exists in several versions. 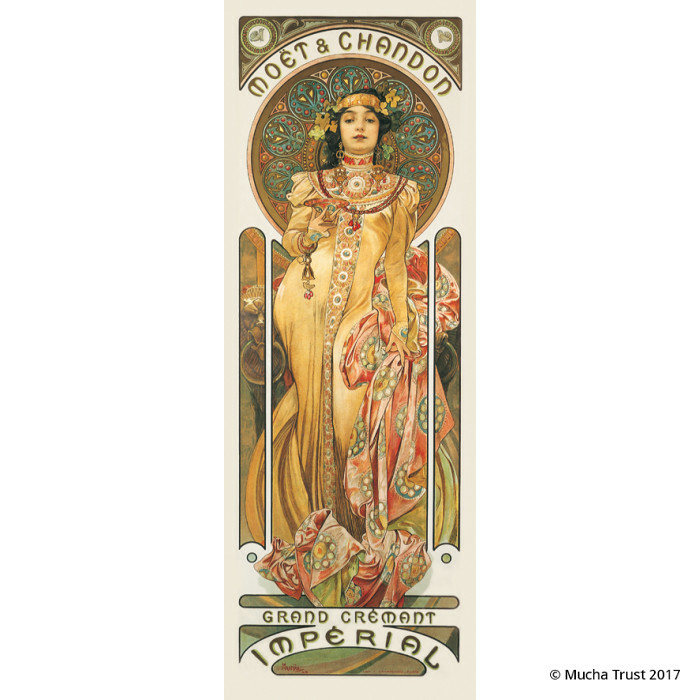 To capture the distinct taste of Moët's dry champagne, Mucha chose to depict a brunette with classical features wearing a high neck dress and ornate jewellery.